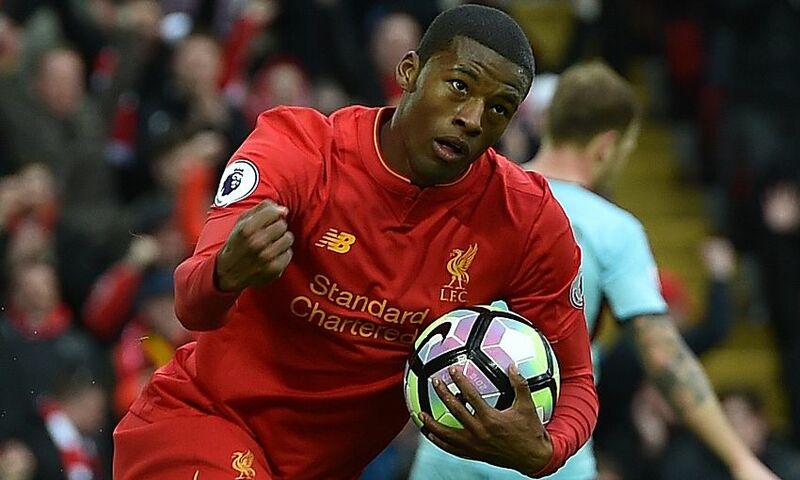 Georginio Wijnaldum was pleased to have contributed to what he believes could have been the deciding factor in determining that Liverpool beat Burnley at Anfield on Sunday. The Reds edged a hard-fought encounter 2-1 against the Clarets to maintain their push for a top-four finish – but they were required to come from behind in order to do so after Ashley Barnes’ seventh-minute opener. And it was Liverpool’s No.5 who set the hosts on their way to three points when he equalised with the last kick of the first half to ensure there was a different complexion on the mood in the home dressing room during the interval. Emre Can went on to claim the winner, brilliantly finding the bottom corner from 20 yards just after the hour, but Wijnaldum feels restoring parity on the stroke of half-time had a huge positive psychological impact on all concerned. He told Liverpoolfc.com: “It was really hard - you could see it in the game. The start was already tough, especially because they scored a goal in the first few minutes, so that made it even harder for us. But we kept fighting, kept trying and gave 100 per cent in the game. “We were lucky that we scored right before half-time because that gave us a little bit more confidence when we were in the dressing room. If you go into the dressing room at 1-0 down, it is different. The win over Burnley meant Liverpool recorded back-to-back victories for the first time in 2017 following last weekend’s success against Arsenal on home soil. Wijnaldum feels the Reds’ fighting qualities pushed them over the line against the Clarets, who posed a threat throughout the contest. “To be fair, it’s not really about proving to people we can do it because we did it already in the first half of the season,” said the Netherlands midfielder. “It was more something for us to give us more confidence to win these kind of games. “They play a lot of long balls, with set-pieces they are always dangerous, so it can be even harder to win against those kind of teams. It’s always difficult to win a game in the Premier League and you can always lose.